The story begins in 2012, less than a year after I (Joe Patitucci) started a zero-waste record label, Data Garden. At the time, we released records as download codes printed on paper embedded with seeds that grew into flowers. I was an electronic musician who had spent a few years working in environmental advocacy and I saw Data Garden as a platform to explore a more environmentally conscious relationship between electronic music and the planet. My interests in nature, art and technology were expressed in everything we did, from our blog that featured artists who helped trees draw by attaching pens to their branches, to free outdoor music and arts festivals we produced that got thousands of people out into nature. The success of these events led us to be invited to create an experience at The Philadelphia Museum of Art. But what would it be? What would we do? How could we bring all of our interests into something that was a true expression of Data Garden? The answer was plant music and it came in the form of an installation we called Data Garden Quartet. 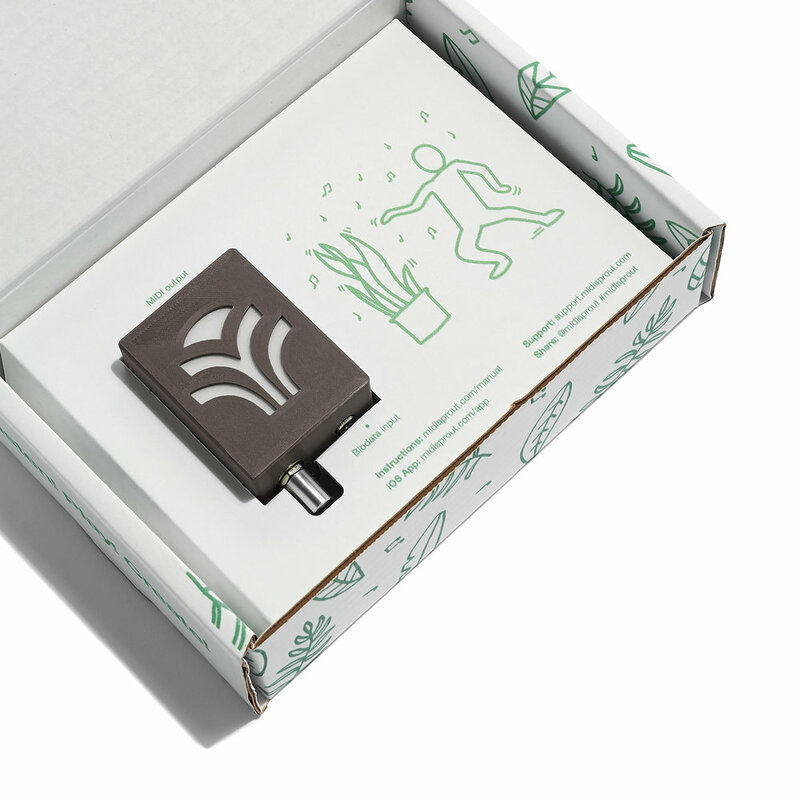 We were inspired by biofeedback pioneers like FBI interrogator, Cleve Backster, who in the 1970s connected plants to lie detectors to see if they displayed emotional sensitivity. 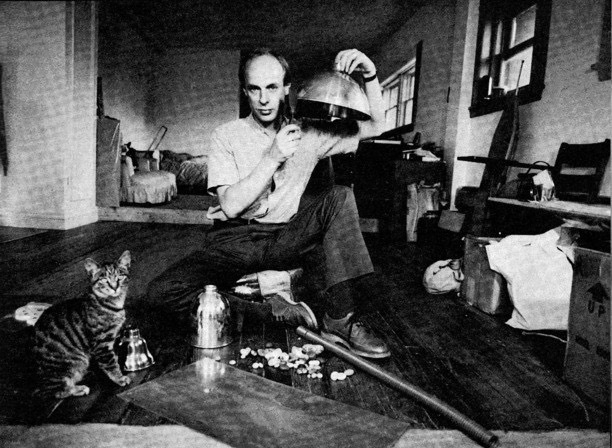 Musically, we were inspired by generative music pioneer, Brian Eno, who created algorithmic processes for the creation of relaxing ambient music. 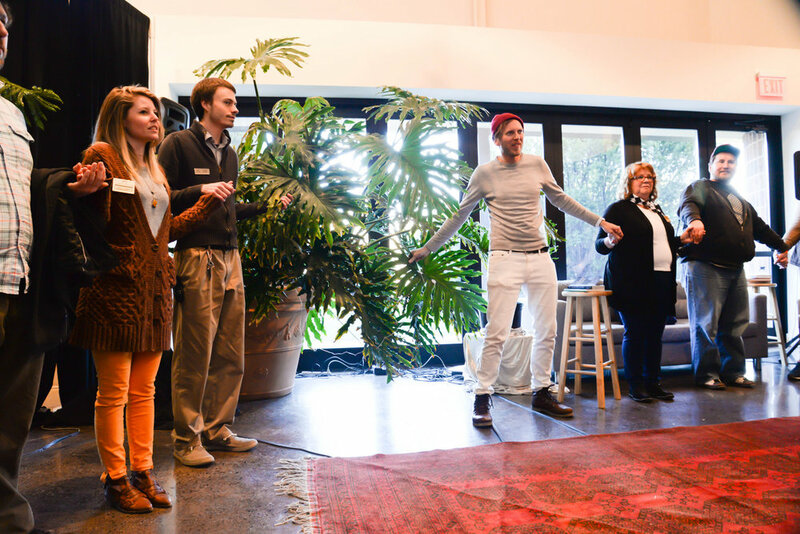 Works by biofeedback artists Richard Lowenberg and Mileece showed us that it was all possible. We knew our good friend, Sam Cusumano, was a genius electrical engineer and if anyone could figure out how to translate the electrical impulses of plants into MIDI, he was the dude. So, there we were in his studio with custom built circuitry fashioned from an old Radio Shack Lie Detector. The data generated from our philodendron friend was incredibly dense and complex. Sam programmed our software so changes in conductivity on the surface of a leaf were translated into notes. The velocity of those changes was translated into messages that controlled knobs and faders on a synthesizer. The richness of this data inspired me to give plants full control over every note played as well as control over effects. I scaled the instruments into the key of C so the music was harmonious. I created parameters for the rate at which the instruments could be played to provide a resolution that was both musical and close to real time. Then I just let the plants do their thing. The results were totally mind-blowing. From that point on, nothing would ever be the same. I remember the first time we listened to a philodendron. Upon hearing its first notes, I was amazed. I turned to Sam and asked, “Is that the plant?” When he confirmed, my heart lit up with joy. At that moment I saw the plant turn a reverb knob all the way up, making it sound super blissed out and celestial. What just happened? Did I do that? Was the plant responding to me? When we first exhibited this work publicly, we noticed certain people and activities had a huge effect on plants. At our first installation, we saw these exhibited through interaction with a Reiki Master, energy healer, botanist, florist, and a young girl named Melody. Yes! Melody affected the melody of the plants. She looked at her mom and said, “All you have to do is think LIGHT COMING THROUGH YOUR HANDS and it will sing to you.” It was a trip! This brings up the inevitable question, “WHAT DOES IT ALL MEAN!!? ?” What’s happening in this seemingly meaningful exchange between humans and plants that we’re hearing in the music? The fact is, we don’t know! We have experienced correlations between changes in plant music in sync with thoughts, feelings, actions and intentions. We notice that we feel better after spending time with musical plants, but we don’t exactly know why. As artists more than scientists, we feel we can best serve in fostering understanding of plant consciousness through sharing this experience with people. We’ll leave the explaining to the scientists, or maybe you, if you’re so inspired! After all, the tools are now available to all. 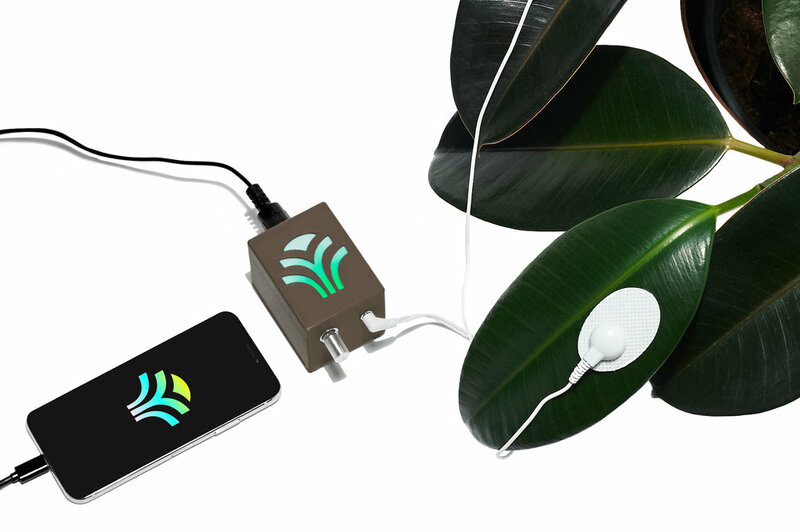 MIDI Sprout makes use of much of the same circuitry that was used on our early installations and the sounds in our iOS app were crafted with the same design principles that inform our artistic practice. MIDI Sprouts are hand-assembled by artists in the US. The durable cork and non-GMO corn plastic enclosure of MIDI Sprout is an homage to the zero-waste record label that gave birth to the device. 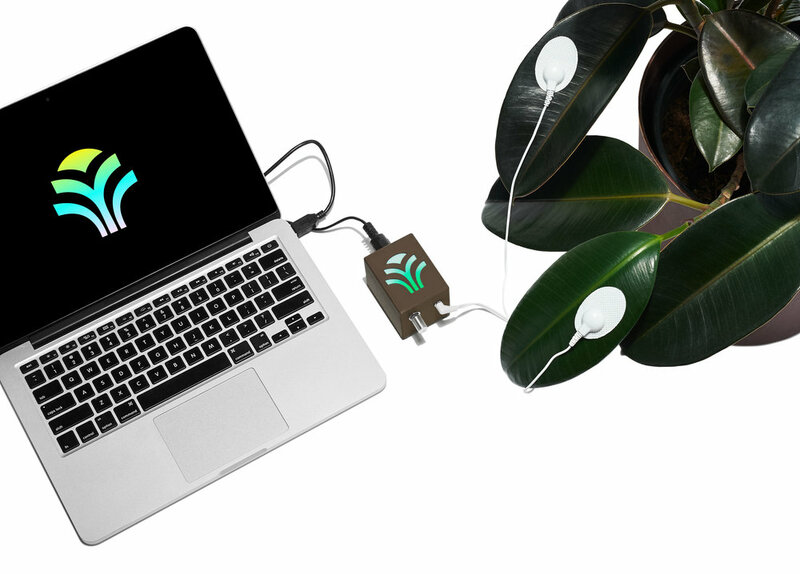 We’re excited to share the magic of plant music with you through MIDI Sprout. Having this device in our lives has transformed not only the way we see plants, but the entire cosmos. It’s our hope that you too, in exploration of your relationship to nature through music, will come to discover hidden connections.